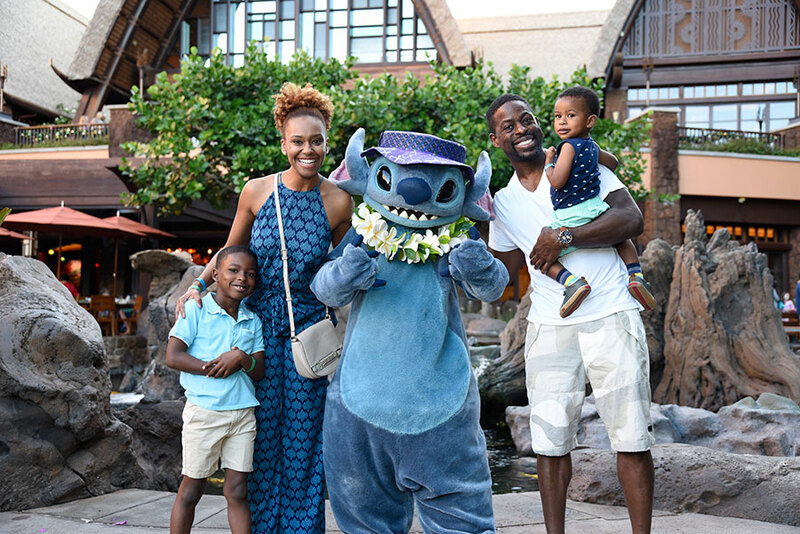 Actor and Golden Globe-winner Sterling K. Brown recently visited Aulani, a Disney Resort & Spa, soaking in the holidays at the Hawaiian resort. The “This Is Us” star enjoyed a vacation in paradise with his wife Ryan Bathe and children Andrew and Amare. Sterling’s family loved exploring the resort’s seven-acre water oasis, including adventuring down Volcanic Vertical and Tubestone Curl water slides. They even ran into Stitch in the Waikolohe Valley!